Blessed with bountiful nature and seemingly endless photogenic assemblies of sheer coastal cliffs, snow-dusted mountains and some of the world’s favorite golden beaches, Australia is home to an extensive variety of natural landscapes. Trade in your domestic flights for opportunities to road trip instead, and indulge in experiences of surfing incredible waves, bushwalking along rugged coastlines, and encountering wildlife up close. With a sizable network of stunning backroads, a scenic drive across the nation is essential to discovering the Land Down Under. 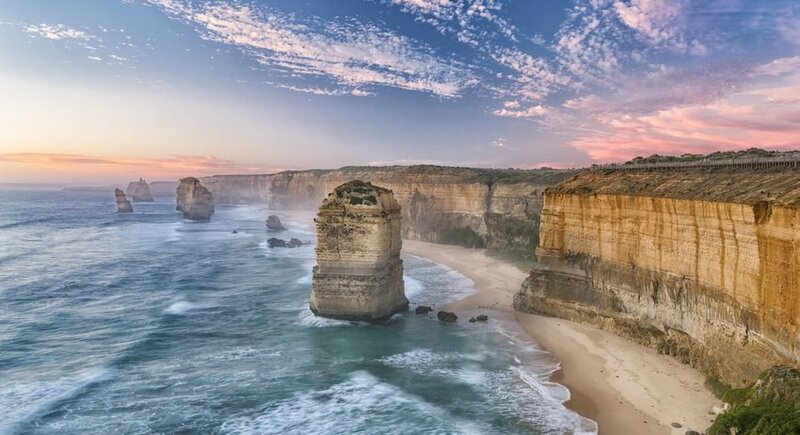 Spanning over 150 miles between Victoria’s Torquay and Warrnambool is the Great Ocean Road, a classic Australian road trip across the nation’s southeastern coast that highlights spectacular limestone cliffs, quaint fishing villages and verdant rainforests. Linger a while at Bells Beach in Torquay, the official starting point of the drive, and ride the waves at this world class surf spot before continuing on to witness Split Point Lighthouse in Aireys Inlet, the emblem of this serene seaside town. Dating back to 1891, this lighthouse played a starring role in the popular national TV show, Round the Twist. Through the depths of the rainforest and under koala-filled canopied trees off the shores of Port Campbell National Park is the Great Ocean Road’s most anticipated destination: the Twelve Apostles. This series of limestone stacks rise dramatically from the floor of the Southern Ocean. At the tail-end of this route is Warrnambool, a historic city with a small town feel, known for its rich whale watching opportunities between June and September. Famed as the nation’s most scenic drive, the Great Ocean Road is the epitome of Australia -- golden beaches and sublime rainforest trails backed by the rhythm of the ocean’s crashing waves. Isolated by geography, the blissfully tranquil island of Tasmania boasts naturally stunning coastlines. 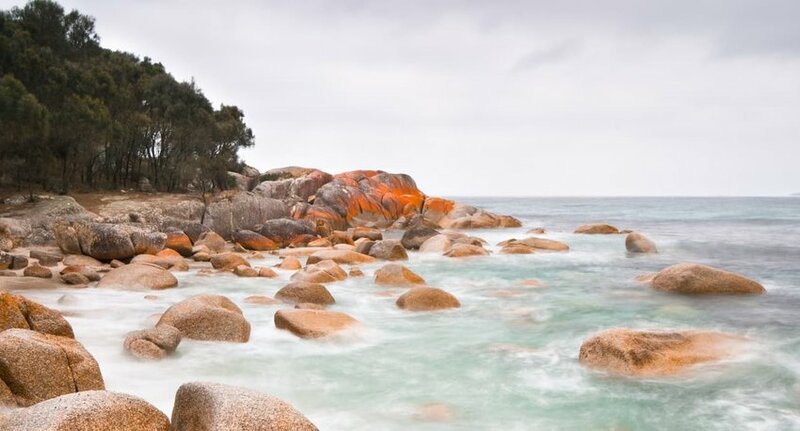 Its nearly 200-mile stretch between historic Hobart and picturesque Bay of Fires on the East Coast is particularly scenic. Stop by the idyllic seaside town of Swansea which overlooks Great Oyster Bay and take a detour to Freycinet National Park, Tasmania’s oldest. Witness the sugar white beaches and kaleidoscope of flora and fauna that dot the horizon, ringed by azure bays and pink granite peaks. Participate in bushwalking to the iconic Wineglass Bay for sweeping coastal panoramas, and continue along the road to the holiday seaside town of Bicheno. Come face-to-face with furry kangaroos, pelicans and rare Tasmanian devils for some unforgettable wildlife encounters. Savor the bounty of fresh seafood available in this fishing town and dive into Tassy’s revered culinary scene by sampling its juicy salmon and tasteful crayfish. End your drive along the island’s East Coast by lazing on the string of white sand beaches of the Bay of the Fires. Beginning in the vibrant port of Sydney, the ensuing 620 miles of the Pacific Coast that inevitably leads to Brisbane is encrusted with swatches of pretty beaches, charming coastal towns and rugged hinterland. Cruise through the laid-back seaside destinations of Terrigal and Avoca Beach, where sparkling sandy beaches beckon sunbathers and surf bums to linger a little longer. Venture to Port Stephens about two hours north and fly down the majestic dunes on a thrilling sandboard ride before swimming with dolphins in the nation’s dolphin capital. Travel inland to Australia’s famed wine region Hunter Valley, indulging in an afternoon of tastings paired with delicate cheese boards and collection of chocolates. 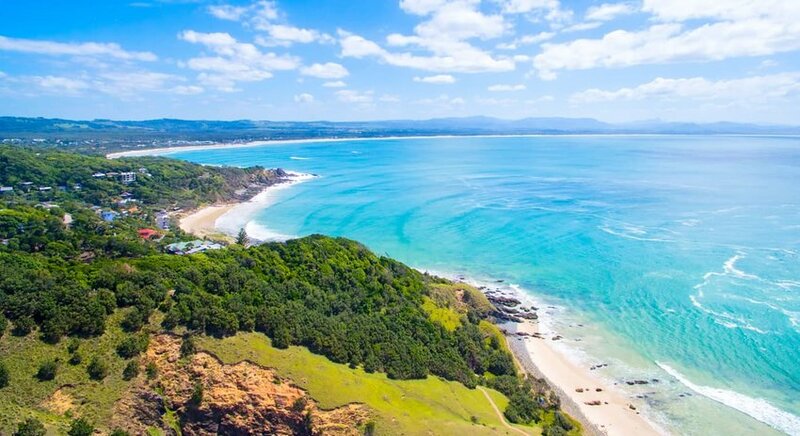 Then continue along the Pacific Coast to Byron Bay, a popular beachside town visited for its reliable surf breaks and, between June and November, for humpback whale sightings. Sandwiched between two dynamic cities, the Pacific Coast drive offers a taste of both urban and wild Australia.